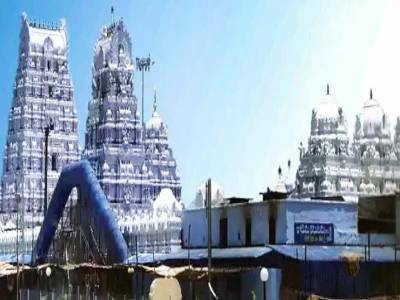 The Vemulawada Temple in Karimnagar of Indian state Telangana is more popularly known as the Sri Raja Rajeshwara Kshetram. 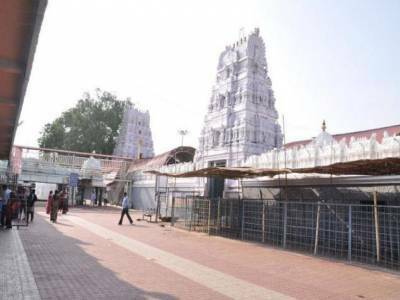 The Vemulawada temple is called Sri Raja Rajeshwara Kshetram because it is basically a temple complex dedicated to Lord Shiva and his relatives. This historical Vemulawada temple was built by Raja Narendra Chola in the years of 750–930 A.D. 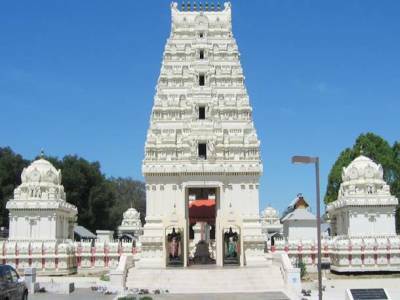 There are three main temples in this temple complex of which the main and high temple is dedicated to Lord Shiva, known here as Sri Raja Rajeshwara Swami. To the right of the main idol of the Rajanna, lies his consort, Lady Parvati, known here as Shri Raja Rajeshwari Devi. And to his left remains the statue of Sri Laxmi Sahitha Siddi Vinayaka. The temple is built on the classical south Indian art and architectural style of temple complex formation having tapering high temple dome with great many detailed engravings and embossing. The whole temple complex is painted in pristine white colour that reflects both the elegance and the spiritual high of this temple. The temple also has a unique testament in it. The preaching of boundless spirituality confirms its existence in Shri Raja Rajeshwara temple. There lies a small dargah inside the The Vemulawada Temple complex, so here people for all cast and creed can come and pray to the universal one. The Shri Raja Rajeshwara temple is a great temple that draws in a great number of visitors from all across the county all round the year. There is a holy pond in the temple known as the Dharma Gundam where the pilgrims purify themselves before going for praying. The temple becomes livelier during the Maha Shiva Ratri occasion. 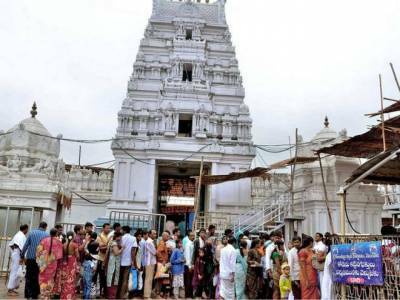 The Vemulawada Temple is just 37 KM away from Karimnagar and is quite easily accessible by road. 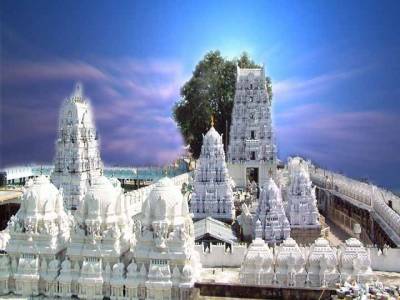 Get quick answers from travelers who visit to Vemulawada Temple.